Rench has been creatively breaking the boundaries between America’s top two genres since the turn of the millennium. His twangy, funky, irresistible mix is proven to raise eyebrows and open minds in a big way, most notably with his project Gangstagrass and the Emmy nominated theme song to the hit FX Network show “Justified.” Now that he’s toured the world with the groundbreaking bluegrass-hip-hop group he founded, Rench thinks its time to push the envelope again with a solo album that completely reimagines Americana from the ground up. A Brief History: In third grade, Rench spent his Southern California school recess putting down cardboard to do backspins to Run-DMC or the Beat Street soundtrack in schoolyard breakdance battles. Returning home in the afternoon he would take in sounds from the turntable of his Oklahoma transplant father’s record collection – heavy on honky-tonk classics like George Jones and Johnny Cash. Rench eventually landed in Brooklyn, producing hip-hop and trip-hop for underground emcees, but found the allure of adding pedal steel and banjo licks to his productions irresistible. So he ran with the idea in 2001, releasing the first in a parade of mind-bending fusions of country and hip-hop. Performances from 2001 to 2006 with his band B-Star garnered praise from the New Yorker, Vibe, New York Daily News, and more. Three solo albums followed as his country hip-hop production technique continued to evolve. His talent for it found a much wider audience in 2010 after the crew of bluegrass pickers and emcees he brought together under the name Gangstagrass was drafted to create the theme song for the hit FX Network series “Justified”, for which he was nominated for an Emmy Award. 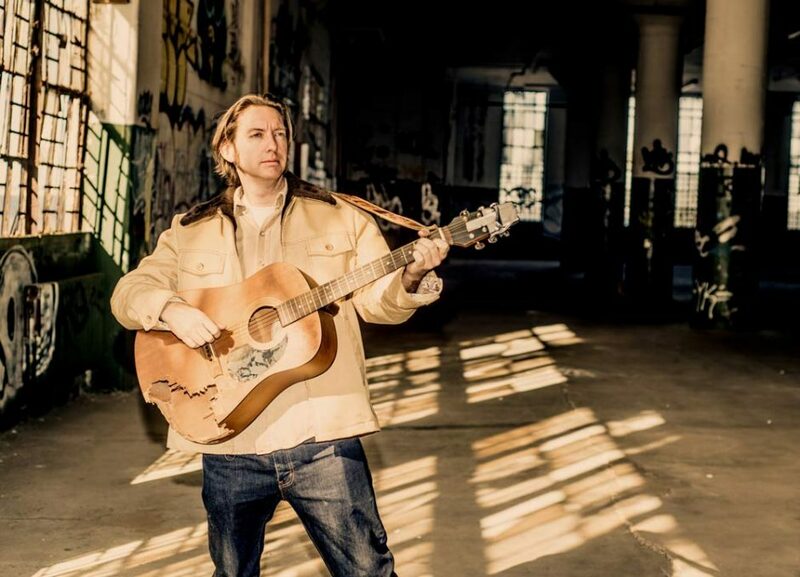 Thanks to the exposure to millions of viewers via Justified, the group has toured internationally and Rench has produced four albums of Gangstagrass material, the most recent, 2015’s “American Music” debuted at number 5 on the Billboard bluegrass charts. After six years touring with and producing Gangstagrass, 2017 will see Rench release a full length album showcasing an eclectic honky-tonk “bang and twang” sound. Though the decade and a half since he started fusing the two genres popularly thought to be incompatible has seen the rise of “country rap,” Rench’s work is a completely different formulation far removed from the novelty of ‘redneck raps about moonshine and driving trucks through the mud.’ His uniquely broad and deep recipe brings together a rich tapestry of American styles. In “Them’s The Breaks”, Rench presents a masterful treatise that ties the sincerity and plaintiveness of classic honky-tonk with a hipster’s facility with irony and post-modern reference. It pulls in heavy beat samples and turntable scratching, twangy steel guitar, swampy delta blues, and contemplative folky understatement, and somehow it just works. This is a cosmopolitan incorporation of the best of America’s populist musical traditions, where the outlaw gunslinger is at home as a figure in the music of Bakersfield or the music of Bed-Stuy, and Rench’s take will provoke thought while getting your head bobbing. “Two examples that represent the kind of experimentation I am doing here are turntable scratching pedal steel guitar sounds on ‘The Dust Up’, and beatboxing through the harmonica on ‘Boomerang’.” Says Rench when asked to reflect on achieving the sound on the album. The fingerprints of 70’s honky-tonk are all over the album, with heavy use of pedal steel guitar and Wurlitzer piano. But these adorn a collection of unmistakably twenty-first century songs. The songwriting brings the honky-tonk themes of outlaws and truckers into Brooklyn’s hipster bars and b-boy street corners, paired with the sampled beats of a producer who grew up in the age of hip-hop. What better way to embody Americana than to truly incorporate such quintessential influences as folk, country, soul, and hip-hop? The new album “Them’s The Breaks” establishes Rench’s mastery at layering thumping beats seamlessly with wailing steel guitar licks and high lonesome harmonies. It displays the breadth of his musical palette with tracks that veer from party banger to melancholic introspection, from anthemic hooks to understated ruminations. This is Americana in its true exploration of the possibilities when an artist is equally influenced by Gram Parsons and Outkast. Beatboxing is done through a harmonica, pedal steel guitar notes are scratched in via turntable, and a Hank Williams cover is interrupted by a drum loop you might expect from a Kanye track. Could this embody a deeper, more forward thinking form of ‘Americana’ to meet the 21st century? Dive in and find out.